We finally got a winner! Congrats to Lisa for guessing my ???????? on my Currently post. She was right when she guessed my next 3 vacations. I've decided to make a trip to somewhere near Destin for Spring Break with my family, my husband and I are going to Punta Cana this summer, and we are going to Disney in the fall!!! I'm so excited (and broke!) Be checking your email Lisa!!! I also have a quick freebie for everyone! 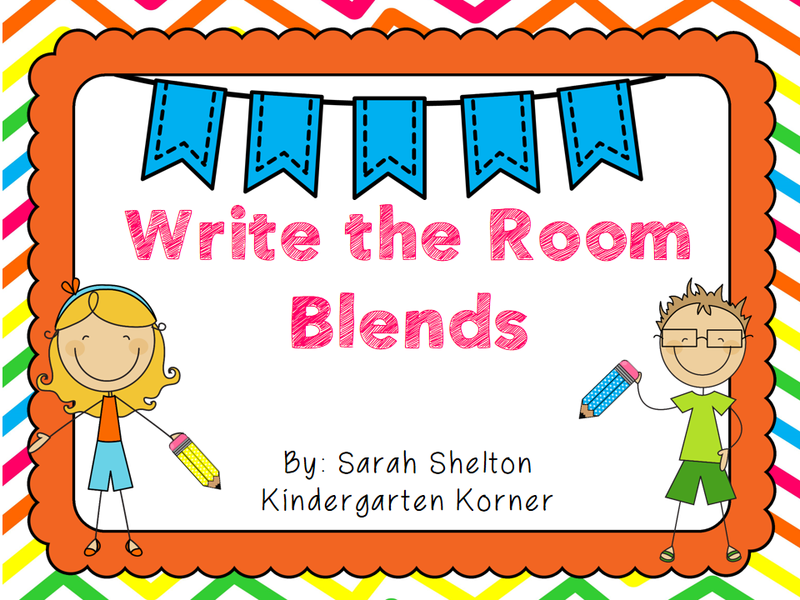 We are working on blends and I needed a little something extra for my centers so I made these quick Write the Room Blends freebie! I hope you can use it! I have another Ice/Snow Day tomorrow (and I'm not happy). I'm so over it!